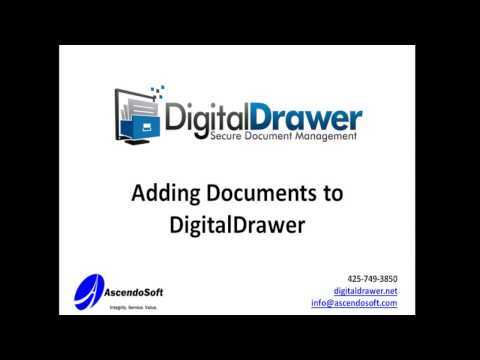 DigitalDrawer Capture is the document scanning software from AscendoSoft that allows your organization to utilize the full speed and capacity of your in-house scanner to quickly and efficiently scan and label your documents. With Capture, getting your documents into DigitalDrawer is a breeze, saving you time and money on what is normally the most costly and time-intensive aspect of becoming paperless. Capture allows you to scan the way the professionals do by splitting up tasks. 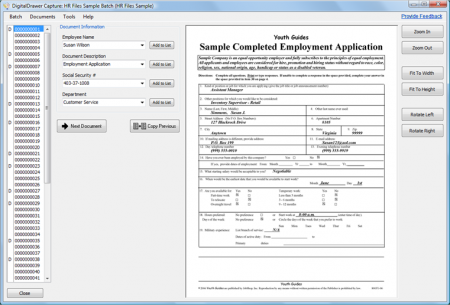 You can do all of your scanning first and then label the documents later using quick auto-indexing tools. When you compare this to the normal process of having to scan each document separately, name each document, and then place each document in the appropriate folder, DigitalDrawer Capture is an obvious choice. Click here to learn how one client benefited from DigitalDrawer Capture.